Artistic Director of the newly relaunched Shakespeare in the Ruff and the director of their inaugural production, Brendan McMurtry-Howlett adapted a standout version of The Two Gentlemen of Verona, sidestepping the text’s many problems and reviving outdoor Shakespeare in Riverdale. Himself a Best Director for a Regional Production nominee, Brendan led Two Gents to a total of four 2012 My Theatre Award nominations- including Best Supporting Actor, Best Ensemble and Best Production- and joined our interview series to talk about them. Can you remember the first production you saw by the original Shakespeare in the Rough? It’s hard to remember which was the first, I was pretty young at the time. But one of the productions which made an imprint on my memory was their Othello starring Andrew Moodie. It was one of their first productions done in the evening with proper lighting and just the sensation of watching the final scene of that play in the darkness of the park with the wind rustling the trees has stuck with me as a formative theatre experience. How did the idea of rebooting the company come about? I had dreams of being an actor in one of their productions after I graduated from theatre school in Montreal, but unfortunately they shut down before I came back to the city. And ever since then the idea had been in the back of my head and I tried several times to convince other people to reboot the company to no avail. Finally after a late night conversation in a bar with some friends, I pitched them the idea, and much to my surprise the hopped on board – I went home that night and couldn’t sleep as my brain kept going over all of the possibilities. The idea kept growing and some amazing people came aboard with real conviction in the idea, and next thing I knew we were in the park on a glorious summer day reciting Shakespeare to the trees. What were some of the biggest challenges in getting it set up? Well, actually there was a lot of work that happened before the “and next thing I knew…”. We in fact had a false start the summer before – I had assembled a rag tag group together, had already been working on the adaptation of The Two Gentlemen of Verona and we were planning on putting the whole thing together in 2 months. It eventually dawned on me that it would be a far larger endeavour than that and if we wanted to do this properly and not cause ourselves mental breakdowns in the process, we needed to push our grand plans back a year. I pulled the plug on that first attempt, re-convened a core group of artists and spent a year laying the foundation for the company. The hardest part was going in blind – none of us had any real experience in running a company, and the steepest learning curve came in dealing with the million small tasks required to make it happen: hold monthly meetings, get a permit for the park, buy insurance, set up a website, learn what twitter actually does, fundraise for the show and build connections within the neighbourhood. The performance we shared with audiences was just the tip of the iceberg of all the work that went into making it happen and the hundreds of people that worked tirelessly to ensure it was a success. Do you know what show you’re doing this summer? Yes! Shakespeare’s most beloved hunchback – Richard III. We are so excited to be working with the incredibly talented Diane D’Aquila who will be directing the show this summer with a young actor Alex McCooye starring as Richard. Alex brings a real mischievousness and humour to the role and standing at an impressive at 7 ft. will be dwarfing the trees in the park. Do you have a dream production you’d like to direct down the road? Oh yes, and we’re working on it for 2014 so I won’t give anything away! 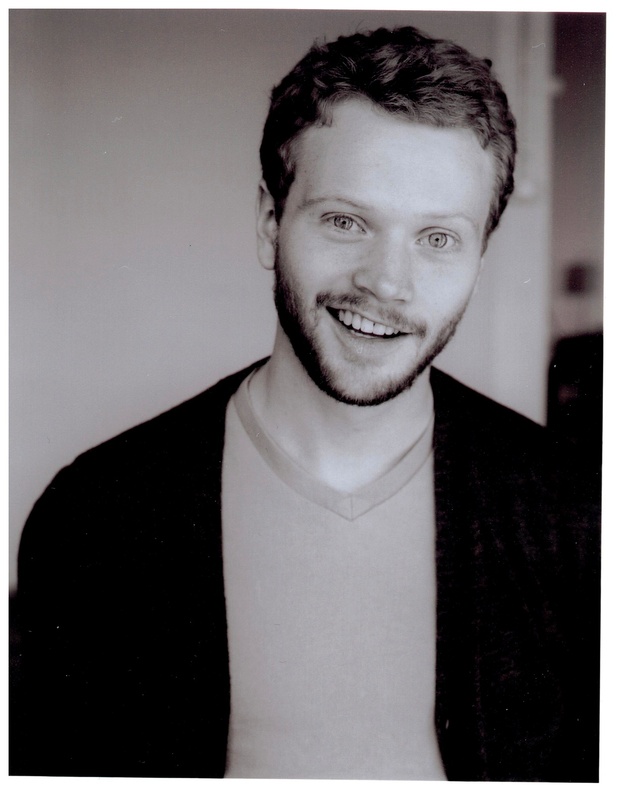 Zach Fraser is a director from Montreal who directed me in the very first show out of theatre school – a one-man show called …and stockings for the ladies which will actually be remounted in Toronto in October with Harold Green Jewish Theater. He introduced me into the world of puppetry, which has actually had a huge influence on how I approach theatre as an actor and a director regardless of whether puppets are involved. Ed Roy is another director who I’ve worked with who is a master in the art of collaboration. I’ve never worked so hard or laughed so hard in a rehearsal hall, and at the same time felt so much ownership over everything we created. He lets all of the artists involved in a project bring the full range of their abilities and talents to the table regardless of their designated role in the production ie. SM, lighting designer, actor, whatever – we were all artists working to make the show the very best it could be. The one man show …and stockings for the ladies. I have performed that show periodically over the past 5 years, and no other show has shaped me more as an artist. Every time I come back to it I learn something new. Two Gents was a really cleverly assembled script, sidestepping some of Two Gentlemen of Verona’s flaws using text from other plays. Did you do the adaptation yourself? Walk me through the process. How did you approach casting. Was it all open call or did you have any actors in place when you chose the show? We had several actors in place, but it was a pretty rag tag process of putting together the full cast. I’d coerce an actor I had worked with into doing it, and someone else from the core company would suggest someone else and then we also held a handful of auditions to make sure we’d find people that would fit in with the whole spirit of the company, people willing to do the extra heavy lifting required to get this company off the ground. It felt like the stars really aligned for this project and everyone involved brought so much heart, hard work and talent to every aspect of the company. Especially the talented team of dogs that graced the stage through the course of the run as Launce’s not-so-faithful companion. Other than the textual changes, what were some of the things you brought to the production that were unique? I think it wasn’t so much that I brought a whole bunch of unique things to the production, but rather I let the unique and beautiful space in the park inform every aspect of the action. The magic of that setting beneath the trees lets the world of the play erupt on all sides of the audience and engulf them. I simply had to tell the actors that there were no walls in this theatre and let them loose in the park. The one thing I was adamant about was creating a short prologue to the show that would somehow warm up the audience to Shakespeare’s language, and get them actively participating in the creation of the world we played in every night. It can sometimes take a couple minutes to adjust your ear to the language at the beginning of a Shakespeare play and I often loose most of the first scene when I go to see a production of his work. I’ve always understood Shakespeare best when I’ve been able to say the words out loud, and so I wanted to get the language into the mouths of our audience before the show began. Throughout rehearsals I asked each actor to prepare a version of what this prologue could look like – games, exercises, tools to give the audience for listening to our play. We eventually complied the best aspect of each of those versions into the sonnet game we used to start the show. In the very first scene, the audience watches as the servant Speed comes running all the way across the field behind our stage carrying a huge armful of suitcases, running late for the train, screaming his master’s name the whole way, and the wipes out just before he reaches the stage in a mess of flying parcles. You would never be able to stage something like that in a theatre and it was the epitome of why I love that outdoor space. I just came back from a 6 month stint with the National Arts Centre English acting company and am in a beautiful show called Bea for another company I’m involved in, Actors Repertory Company. We’re performing at the Factory Studio space until May 26th. After last summer, I can’t understand the old show-biz proverb “never work with small kids or animals” – our canine cast-mate was the scene-stealing star of the show every night. We just made sure all the actors carried plastic bags in their back pockets.